Lying very near to the southern point of the easternmost part of the Peloponnese, this small, absolutely sweet island is a delight to explore. This is an island much-photographed, especially the photo showing a horse and buggy transporting visitors along the town's waterfront. Automobiles are not permitted within the town limits, but motorbikes are, and they prove to be the best method of traveling on the coastal road encircling the island, a route of 25 kilometers from beginning to end. There is also a summer bus service that takes you to most of the beaches around the island, as well as caiques and water taxis. The most notable and memorable aspect of the island, besides its very pretty main town, are its lovely pine forests, once the locale setting for John Fowles popular novel "The Magus." The island also has some excellent beaches, with the best of them on the north and west coasts of the island. The main town, called Spetses, and its harbor, called Dapia, are filled with lovely red-tile roofed mansions, winding streets, and courtyards filled with colorful flowers. There are two very good museums to explore, both former mansions. In fact, one of the museums belongs to the descendants of the famous female admiral of the War of Independence, Laskarina Bouboulina, the most famous Spetsiot. The island is excellent to explore on foot, as it is hilly, rather than mountainous. You can always explore the interior of the island, then walk back to the coastal ring-road and catch a bus to your next destination. The coastline is quite indented, so you will always find a pretty cove to explore and some excellent swimming. 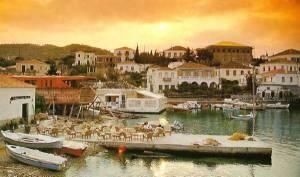 This pretty town complex offers a nice mix of studios and apartments in a convenient, easy location in Spetses Town. 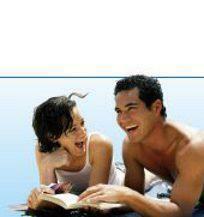 There is a small swimming pool and sun terrace on the premises, and the nearest beach is 30 meters away. This beautifully restored and maintained mansion houses six guest rooms and two large suites situated on a large property overlooking the sea. A small swimming pool adds to the relaxing and elegant atmosphere of the property.